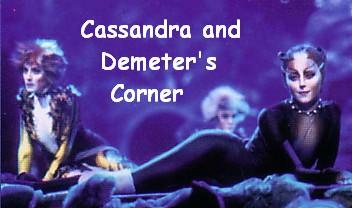 WELCOME TO CASSIE AND DEME'S JELLICLE JUNKYARD! Hope you're enjoying the junkyard! I hope you'll also enjoy the SPECIAL page about Phantom of the Opera! But mostly this site is dedicated to the musical CATS. And I hope you fellow jellicles like the junkyard. Please leave a Pawprint in the Geustbook!